“Patagucci” is not a new luxury brand, it’s rather a popular spin on Patagonia, the outdoor clothing company, and Gucci. Pairing the ruggedness of Patagonia’s functional outdoor clothing and “gear” with one of the most sophisticated Italian brands might seem contradictory, but for some consumers outdoor clothing is becoming the new luxury. With almost nothing comparable between the two, why are luxury brands losing out to outdoor ones? Much research has been published on how consumers are increasingly purchasing “experiences” over products. However, few have noted that products are still required for these experiences. Take the “athleisure” market – another pairing of two disassociated words – athletics and leisure. According to Morgan Stanley, the athletic-leisure clothing and footwear market is expected to reach $357 billion by 2021, largely fuelled by the purchase of products for experiences, be it running, sports or something else. The business of luxury experiences – mostly made up of “exclusive vacations” – is expected to be worth €1.1 trillion or almost two-thirds of all luxury spending by 2022, according to Boston Consulting Group. In China, “Adventure Travel” is the reason a third of all millionaires went on holiday according to the Hurun Report. “Polar Exploration” also made the top five reasons for travel. The specialist products required for this new-found love of travel and athleisure are rarely supplied by traditional luxury houses. Instead wealthy shoppers are turning to sports and outdoor brands for the equipment and clothing they require. As engineered as some outdoor clothing is to withstand extremes, the unspoken truth is most customers do not use it to its full potential, let alone its intended use. Why then would attire built for one environment be worn in a completely different one – mostly the urban one? There is normally another pillar to outdoor brands beyond the basic manufacturing and sale of clothing and equipment. Many brands that develop clothing for remote or extreme locations are often key proponents in the preservation of these same environments. “It is a strong function element to the brand,” says Tom Kay, founder of Cornish surf brand Finisterre, which campaigns for cleaner oceans. This environmental sentiment chimes with recent research that shows younger and wealthier consumers prefer buying clothing that is not harmful. Millennial millionaires interviewed by RBC Wealth Management were more than three times more likely to agree that their wealth should benefit broader society than their older cohorts. Seventy-two percent of Generation Z surveyed by Nielsen said they would pay more for products and services from companies committed to social and environmental good. Finisterre is a company whose commitment to social and environmental good has actually been confirmed by a monitoring group called B Corp. “To become B Corp certified, we have morally and legally committed to prioritizing responsibility to the environment and society,” explains Kay. Another certified B Corp brand is Patagonia, which often puts care of the environment above profits. In 2011, the brand ran an advert in US newspapers displaying a new jacket with the tagline: “Don’t Buy This Jacket”. The ad asked consumers to think before they bought a product since each one comes with an environmental footprint. “The most eco-friendly clothes are the ones already in your closet”, said Patagonia Chief Executive Officer Rose Marcario. However, if consumers do wish to buy a jacket, they can choose one of Canada Goose’s “PBI” lines, where profits go towards Polar Bears International, or one from Paramo, who have eliminated the use of harming fluorocarbon (PFC) treatments in all of their products. Finisterre is one that seeks values in its ambassadors based on “what they do outside the water,” says to Kay, explaining how Irish surfer Fergal Smith’s involvement in organic farming and Easkey Britton’s campaign to raise awareness of gender equality through surfing align with the brand. Patagonia expects something in return from its sporting champions. Brand ambassadors are used to trail new products in the ‘field’ and feedback to the product development team on their performance. Only after the product’s release are they expected to promote it. How Are Luxury Brands Responding? While consumers flit between these two genres, blurring the lines along the way, a few brands are following them and making huge profits in the process. On the one hand there are the likes of Canada Goose, which began producing functional down jackets purely for warmth during Canada winters, but now describes itself as a leading global manufacturer of “performance luxury apparel.” This new tagline has helped revenues skyrocket to $592 million last year from double figures a decade ago. Then, on the other hand, there are luxury brands like Moncler that are making the same journey in reverse. 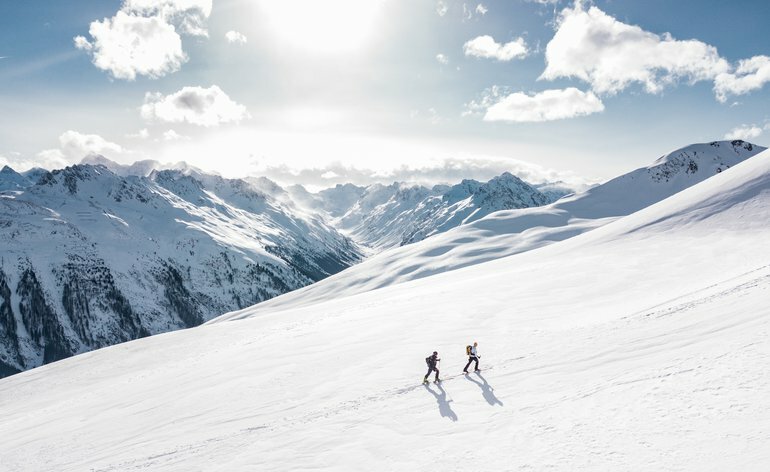 Since being bought out in 2003 byRemo Ruffini, the Italian brand has returned to its alpine origins to create technical garments for mountain activities. Its iconic puffer jacket now accounts for a huge chunk of its €1.2 billion revenue. It’s very possible the future might see partnerships between luxury and outdoor brands. With brands like North Face already collaborating with luxury designers on its jackets, more spinoffs like “Patagucci” may not be out of the realm of possibilities. Is There Really A Boom in Contemporary African Art?